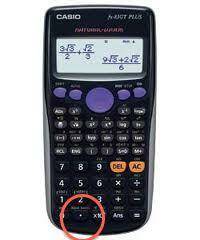 CASIO calculators have a very useful function of generating random numbers. Left to their own devices, they will choose a number between 0 and 1, with 3 decimal places. If you want a WHOLE NUMBER then you need to type 1000 Shift Ran# then press the equals button = . Here is a quick (silent) film showing you how to do it. There are loads of different ways to approach the problem of “How do I remember that the total of the angles in a hexagon is 720?” (and all the other polygons for that matter!). Which one suits YOU is pretty dependent on your learning style, and on how much Maths you do week on week…. This may work for you, to some extent. You need to KNOW that the tota l of angles in a triangle is 180 degrees. If you really struggle with this, perhaps it can help you to dig out your protractor from your pencil case. The biggest number on it is 180 and that’s the number you need to remember! Again most people can remember that a RIGHT ANGLE is 90 degrees so the TOTAL of the angles in a rectangle is 360. (4×90). If you are really good at memorising, then it may be helpful for you to remember that, every time you add one more side to your polygon, you add another 180 degrees. That means that a 5 sided shape (pentagon) has 540, 6 sided has 720, 7 sided has 900, 8 sided has 1080, etc etc…..
For example, an 8 sided regular octagon has a total of 1080 degrees. Each internal angle must be 1080/8 = 135 degrees. Another approach…. less to memorise. This may suit you if you really have a flaky memory…. it IS important that you know The total of the angles in a triangle is 180 degrees. Then you can sketch the shape…. split it into triangles….. see the video below. I have taught this the “traditional” way where you break the octagon up into 4 triangles. It’s cool. Mathematically very clever. But VERY hard for some of my students to actually remember… so this (less elegant) way is what I tend to teach more often. Working Backwards is almost as easy…. Sometimes you are given the interior angle and told “This is from a regular polygon. How many sides has it got? Here’s how to do that kind of question…. The video for that would be a bit boring! D. made this film at the end of yesterday’s tutorial. He chose 4 equations that summed up what he had learned during the hour’s lesson. I am indebted to M.F. who originally noticed the easy trick for plotting lines which have a fractional gradient. My favourite website… all the squared paper you could possibly wish for!